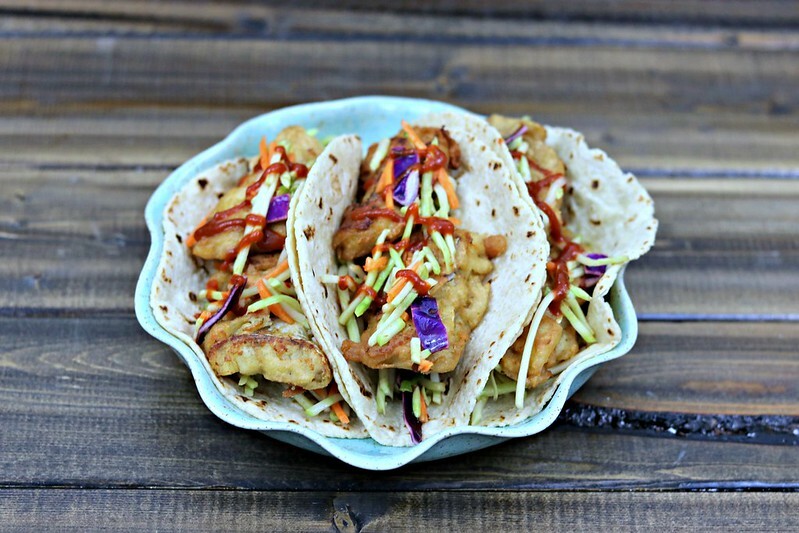 Fish tacos get the ultimate upgrade with a crunchy, chile-marinated slaw. I am really enjoying going back through old recipes and re-making them to update photos. This fish taco recipe is from 2011 and I have tried to make it several times over the past few months, but something always came up and I didn’t get to it. But I finally did it. And just before the first signs of finter hit. That’s right, I said Finter. As in, Texas likes to skip fall and go straight to winter – in October. Granted, next week will probably be back in the 80s, because…Texas…but right now it’s raining and cold. It’s been raining for like, the past six weeks more so than not. I’m so over it. And when it’s coupled with cold – I really don’t like it. However, if it kills the mosquitoes off – I’ll suffer through it. Because cold is better than 24986597 mosquito bites every time I go outside. I’ve mentioned before that I have really become a big fan of broccoli slaw. It has a nice crunch and it holds up well to sauces, instead of getting soggy. Which is the worst. So, the 2011 taco got an upgrade, and what a difference it made!! In hindsight, I wish I’d also made some yellow rice to go with it, because that is a new discovery for me and I love it. Next time, eh? The crunch slaw was plenty for us, in addition to the fish, but you can easily customize the toppings to your liking. Add some sour cream, avocados, cilantro, etc. I think avocado is always a good addition to tacos. Always. 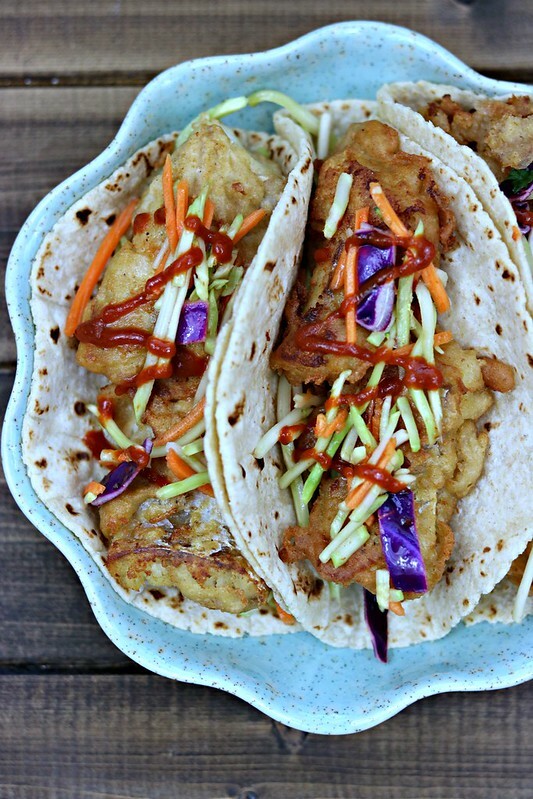 So try these fish tacos and let me know what you think! In a shallow dish, mix 1/2 cup flour, beer, baking powder, and egg. Put the other 1/4 cup flour in another dish. Heat enough oil to shallow-fry the fish, in a large skillet over medium-high heat. Cut fish into strips, salt & pepper both sides. Dredge the fish in the plain flour, coating both sides and shaking of any excess flour. Next, dip the fish in the beer mixture to coat both sides. Add fish to the hot oil, in batches if necessary, and cook until browned, about 2 minutes per side. Remove from oil and place on paper towels to drain oil. Warm the tortillas, place 2-3 strips of fish in each and top with chile slaw.